I choose to make 2015 be a year of peace for me, and freedom! I choose to make 2015 be a year of peace for me, and freedom!. 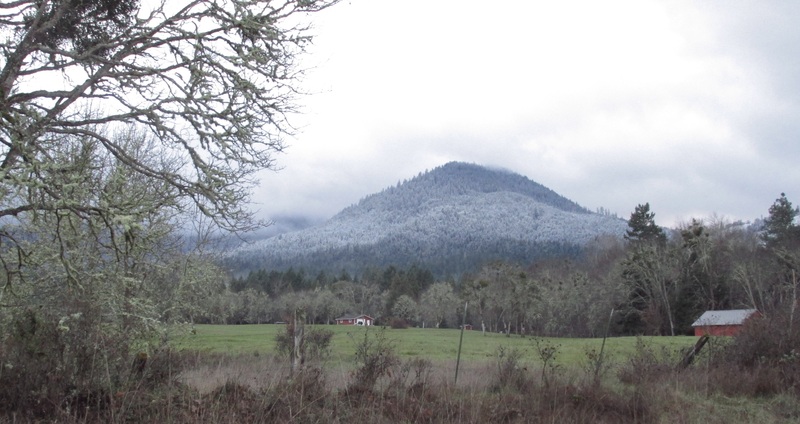 A bit of snow, some fog, and plenty of views to enjoy here in Williams. After days of consideration and prayer I have come to the decision to not make any changes regarding my community page, Ms. Ladybug and Her Layers. I have worked too hard on personal recovery from my past issues to be intimidated by someone whose only reason for contact was to in some way benefit their self. I do not know exactly what their scheme is nor do I care, but I know this person well enough after 18 months of nearly daily contact to know they didn’t contact me just to be nice. They want something. And why should I be fearful of this person? I did no wrong to them. Except to verbalize and be honest about their behaviors. Such as: I witnessed this person using a business license and bank accounts to hide from child support services as well as to hide money so they could have welfare benefits such as food stamps and medical benefits even when their business grossed nearly 8 times the allowable guideline limits. This person also had with held taxes for their business employees, but never paid them because they were using the money for their own interests. No…I am not going to shut down my page, hide in any way, or feel threatened by someone who has shown many people their true colors of self serving and narcisstic behaviors. I truly wish more of this person’s friends and acquaintances really knew how much this person has used them and abused them along the way. I also wish there was a way I could warn any woman who may be swayed by this person’s charismatic personality. When even a church bishop says they are concerned for the women in their church because of this person’s known history of taking advantage of women…well, that says something. I am not afraid of you and know you for what you really are. I know all the despicable things you’ve done and I am not afraid of you. So…read my page all you want. I share so many wonderful things with over a thousand folks who follow my page, and they happily share their goodness with me too. I will not ever let another person frighten me, threaten me, or in any way intimidate me. Those days are in the past. It’s a new year and I am claiming it as one of growth and strength for me! 🙂 And for all of you too!!! Thanks friends for all you have shared with me and how you stuck by me through many challenges over the time we’ve been acquainted. It is because of you that I can speak out the truth and feel no fear. God bless you all. 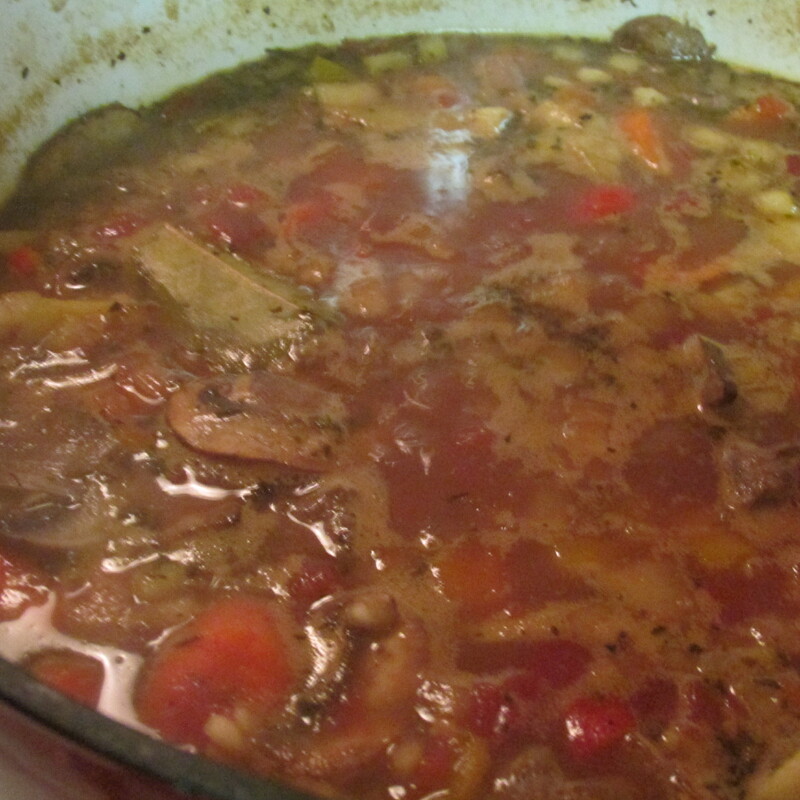 NOW…with that out of the way, I also have a tasty winter soup to share with you. I found a nice couple of Organic Grass fed sirloin steaks with a 30% discount at the grocery the other day, and that was my start. Here you go! A hearty zesty mouthful of flavors! Saute onions and garlic in EVOO about 3 minutes on med-high in CI Dutch oven. Add diced meat and cook until it looses it’s pink color. Set aside. In cast iron skillet fry 1 slice bacon until skillet has sheen of fat on it. Lay mushroom slices on hot skillet and watch until they begin to leak out their moisture, about 2-3 minutes. Turn. Cook another 2 minutes. 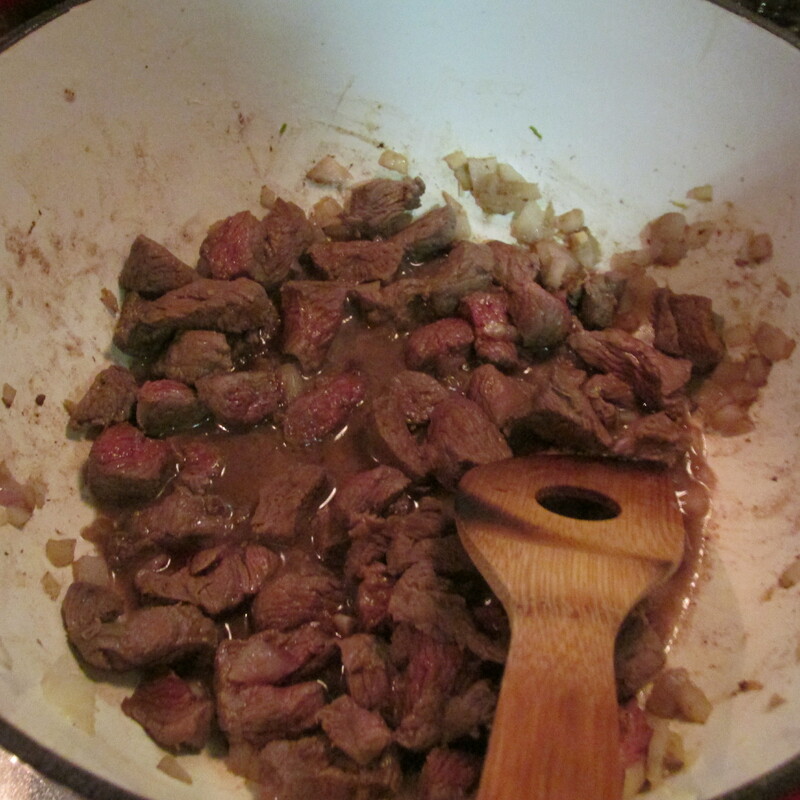 Pour into dutch oven with beef mix. Repeat, bacon and mushrooms until all mushrooms cooked. Bacon is always a great way to start! One slice adds a lot! Portebella’s being seared in a light coating of bacon fat. Can you see them starting to “Sweat”? Add all liquid ingredients and barley then cook about 10 minutes on medium. Then add the rest of the ingredients and put on simmer until carrots are tender to your liking, about 45 minutes for me. Add a large pinch of fresh parsley if you have it during the last few minutes. I did have to add quite a bit of water (2 cups or more) as the barley kept soaking up the liquid. This soup made a great dinner for me as it was. It would also go nicely with a green salad and some fresh bread, but I wasn’t that hungry. The soup satisfied me in numerous ways aside from just filling the empty hole in my belly. It had a wonderful aroma and I also enjoyed the heat generated by the efforts of cooking and having the stove on! This is a hearty soup that has a unique flavor that has a bit of savory zestiness to it. I know the ingredient list is a bit long, but I happened to have all these ingredients on hand. And that my friends…is how I put together a soup. Digging around the cabinets this afternoon seeing what I had that would work with the discounted organic beef I picked up the other day led to my inspiration. I have really been making a mindful effort to buy organic and as local as possible. 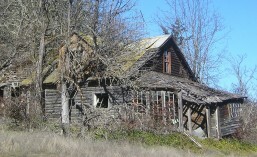 I do watch for discount’s at Grocery Outlet, Safeway, Fred Meyers as well as Cartwright’s Meats. This package was marked down 30% because of a pull date. While still a bit spendy for my meat budget, I rarely buy beef unless it is discounted. This soup cost me about $20 for the whole pot. I will have to freeze or share a lot of it as it made a pretty full pot! Much healthier and less expensive than any hearty organic soup on the market and it only took about 20 minutes of prep and cook time! I hope you enjoy it too. 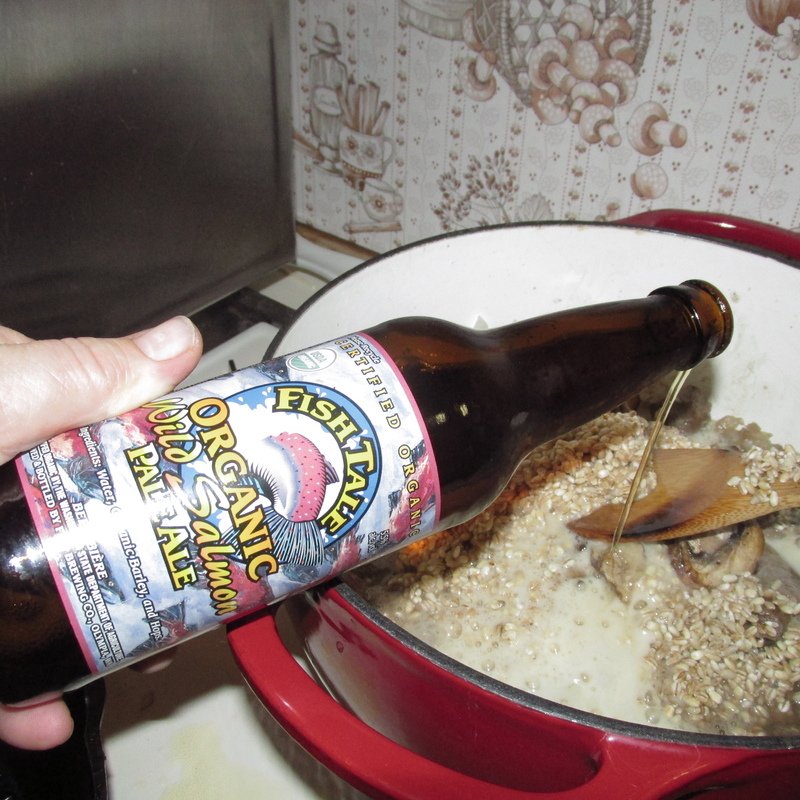 Don’t forget the liquid barley…and hops!! !